I am fascinated with Travel Bugs. You probably know this, but just in case, a Travel Bug is a type of geocaching "trackable". Basically, it is sort of like a game piece. The bug is a tag attached to an object that travels from cache to cache.You can read more about these little hitchhikers at Geocaching 101. So, it is cool to me that you can easily look and see where a travel bug has gone. So, if you read this blog or follow me on untappd or follow me on twitter or like SheppyBrew's facebook page, you probably know that I like IPA's. I don't, however, make a lot of IPA's. Really, it is because I like so many beer styles that I don't get around to it very often. On #IPA Day, I mentioned that I would be brewing an IPA (see #IPADay Announcement: Near-Sighted-Swine). My 2012 Zymurgy List included Russian River's Blind Pig IPA, which I figured I would not ever be able to get. Russian River beers are extremely over-hyped .... errrr ... popular and it is very hard to pick any of them up here in Denver. Fortuitously, a local pizza place / craft beer bar had some the very day we ate there (see Blind Pig at Parry's Pizza). That year, there was a Blind Pig clone recipe in Zymurgy. Before finding the beer at Parry's I thought maybe I would make the clone and count that as my taste of the beer. SheppyBrew's newest beer is Hail Storm Summer Saison. If you are familiar at all with the Saison style of beer, you know that one of its very critical characteristics is that it should finish very dry. From the great Brewing Classic Styles, "the most common mistake for this style is not getting a dry enough finish. In order to get the beer to finish dry, the recipe must have a considerable amount of simple sugars." One of the reasons that it took me so long to brew a Saison is that I have heard that many of the Saison yeasts available for homebrewers are very finicky and often stall way before they fully attenuate. If you follow this blog, you know that our family is into geocaching. Usually, it is an activity that I do with the kids, but fairly often I'll go off and do it on my own. I hate to admit that. I'm sure it makes me some sort of geek. It is fun for me, though, and sometimes it is something I do when I am on my own. Judge me if you must. It is just how I am. We had decided to visit our friends in Breckenridge this weekend, and I took a PTO day. 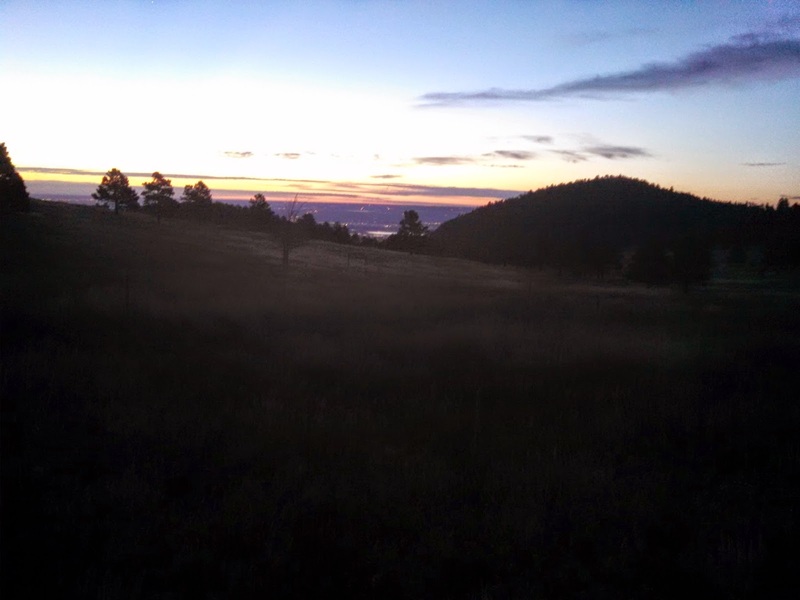 Early in the morning, sometime before dawn, I grabbed some stuff, put my mountain bike on the back of the minivan, and headed up to Mt. Falcon Open Space Park. There were a couple geocaches that I thought I would like to pick up. One is a multi-stage cache that I had begun a week or so before. My wife was challenged by her niece (see link on youtube: #IceBucketChallenge Tracy). and ... it goes on and on and on and on. Hopefully you've seen August Backpacking Trip Part 1and August Backpacking Trip Part 2. This is the third and final post of this series. Feel free to go back and check out 1 & 2. I got up earlier than the rest of the family and did some climbing. The views were absolutely spectacular. The light juxtaposed with the shadow of areas where the sun had not cleared the mountains was awesome. 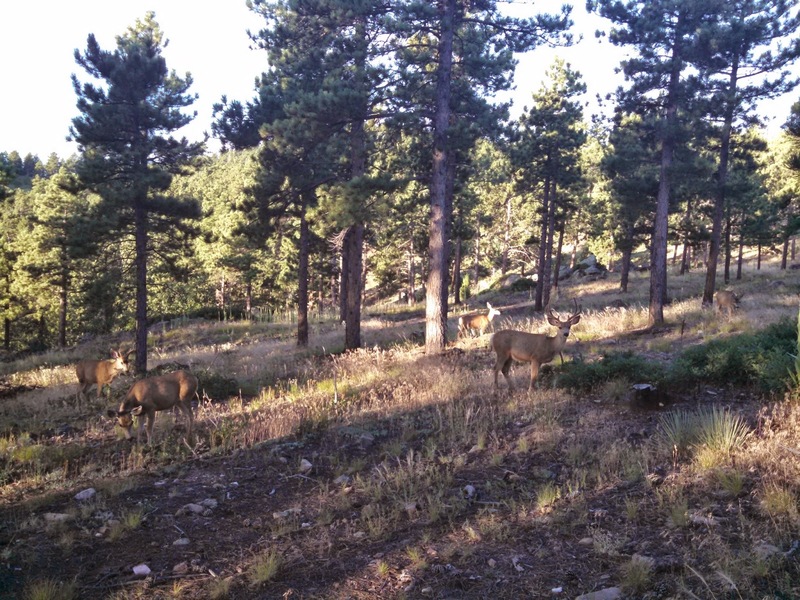 A couple of days ago, I posted August Backpacking Trip Part 1. Now, it is time to continue the story. We woke up pretty early (but not too early) the next day. The sky was very blue with no clouds. Not this past weekend, but the before it, we packed stuff on our backs and headed out into the Lost Creek Wilderness. Yes, this is the same place we always go backpacking. You might think it might get boring for us, but we discover new things every time we go, and it continues to be fun. We do need to find another good spot for our family backpacking trips. A couple of weeks ago, we decided to do a day-hike by Evergreen, CO up to a spot called Maxwell Falls. We did the "Lower Maxwell Falls Hike", the longest of the options on the webpage. Packed up a lunch and made a day of it. It was really a great hike. Here I am contributing to the HashTagging of this made-up twitter holiday again. When I first started homebrewing (way back in 2009), I was not really a fan of IPA's. I started understanding hop bitterness vs. hop flavor vs. hop aroma and how to extract each in the brewing process. It wasn't until I started getting a handle on how hop bitterness balances malt sweetness that I started getting an appreciation for bitterness. It wasn't until I got that appreciation of bitterness that I started to understand and like IPA's. So, I really have my brewing experience to thank for my appreciation of IPA's. I've mentioned this before, but shockingly SheppyBrew Brewery does not brew a lot of IPA's. SheppyBrew's TommyHawk APA is actually technically an IPA, but I think it might be my only one. And, of course, its name still has "APA" in it as a tribute of where it came from. I've brewed Black IPA's and West-Coast Reds, but those don't really count. I think it is about time that I actually design and brew an IPA. I've decided to call it "Near-Sighted Swine IPA" in honor of Russian River's Blind Pig IPA. It isn't a clone of the beer, just a tribute. It isn't real high in alcohol or bitterness, but has quite a few late-addition hops and dry hops. I am planning for this to be the next beer I brew. Stay tuned to read about brew day and how it ends up turning out. 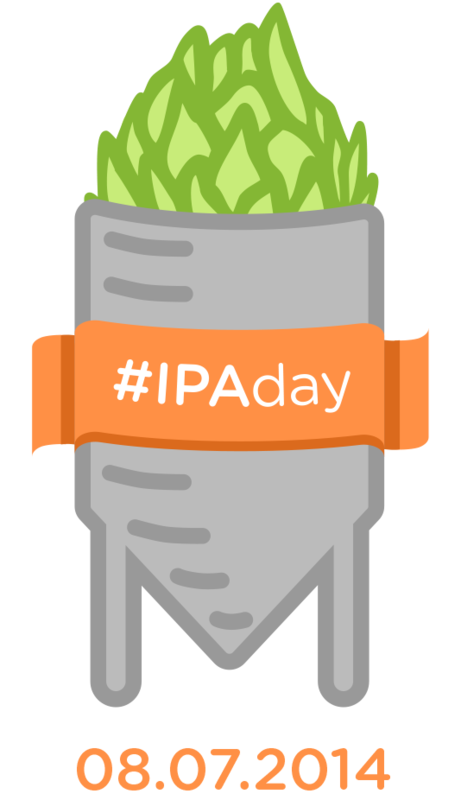 #IPADay: What the hell is a Session IPA? So, It seems that everyone is making a Session IPA now-a-days. I'm all for session beers. I am against calling these "new" beers Session IPA's. To me, that is just too oxymoronic. Ironically enough, I am fine with the term "Black IPA" (in fact I much prefer Black IPA to Cascadian Dark) ... that is pretty oxymoronic as well. Go figure. The main problem I have with the term "Session IPA" is that most of them I've seen fall right into a category we already have ... "American Pale Ale". Yes, these "Session IPA's" are on the lower end of the ABV and OG. They may end up a bit drier than a typical APA, and they are the upper end of the bitterness and hop flavor. But, in my opinion, they fall in the category none-the-less. "Session IPA's" are nothing more than hoppy American Pale Ales. Aha. Yes, once again the made-up twitter holiday is upon us. I won't try to explain #IPADay to you. Check out IPA Day Returns August 7th, and the Beer Wench will do a much better job explaining it than I will. Whether you love IPA's or hate them, you can't deny that they have become pervasive in the craft beer landscape. Personally, I think it a bit unfortunate that so many people consider IPA's synonymous with Craft Beer. I don't think it is a good thing when so many people tell me things like, "Craft Beer is so bitter" because they think "Craft Beer" means IPA. There are so many wonderful craft beer styles out there that are so very un-IPA-like. I think craft beer education should advocate diversity rather than pushing one beer style upon us all. A few times I have mentioned the 5280 Six Packs. 5280 is a Denver magazine and every so often they put out variety packs of local beers. They just pick 6 beers. I'm not sure what their criteria is. I believe they do it every season, but quite often I miss their release, so I don't know for sure how often they actually do it. As far as I can tell, they are pretty bad at documenting these on their website, making it even more difficult to know when they come out. When I see these six packs, I pick them up. Well, as you probably know if you follow this blog even semi-regularly, I share from time to time which untappd badges I've earned. I can't imagine why you would want to, but you can look at all the posts (including this one) by going to the "untappd" label on this blog. As I mentioned last time, I have a few badges that could have been shared at that time, but I decided to share them for the next post (which is now this one).